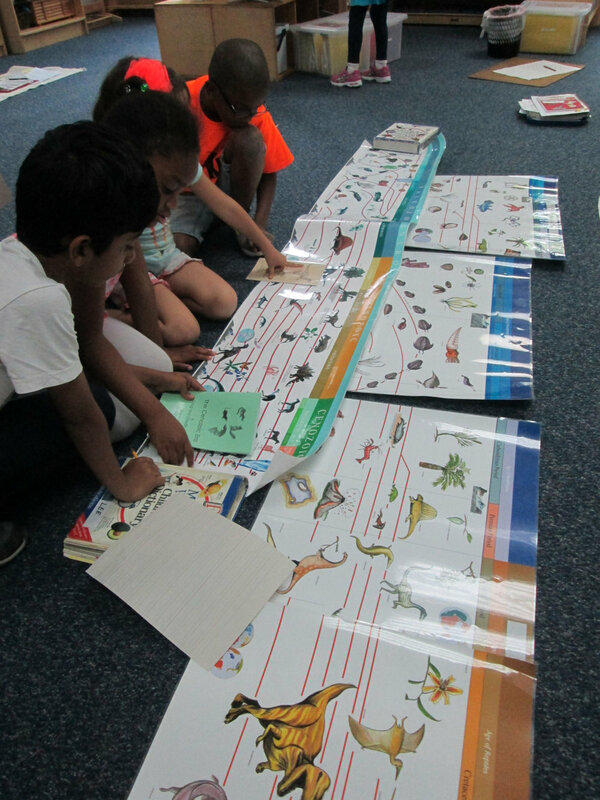 At the end of the year, the Lower Elementary East students were presented with another lesson about The Timeline of Life. During this presentation, they showcase what they learned from the initial lesson at the beginning of the year and all of their subsequent lessons. Afterward, each student conducts research about a specific period or era and then creates illustrations to accompany his or her work.